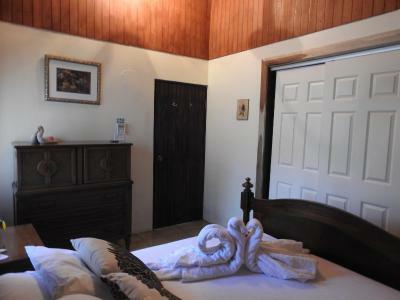 Lock in a great price for Rio Celeste Backpackers – rated 9.3 by recent guests! 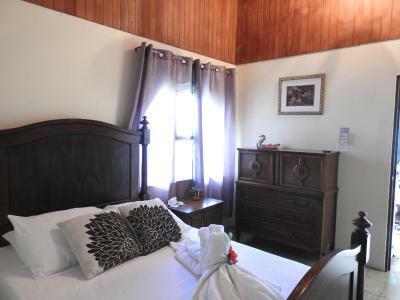 The house is so beautiful, the room was nicely furnished, and the owners are very friendly! Clean. Friendly staff. The husband is an apprentice wildlife tour guide and shares his knowledge as well as giving a nighttime tour on the yard. we very much enjoyed our stay in the hostel! 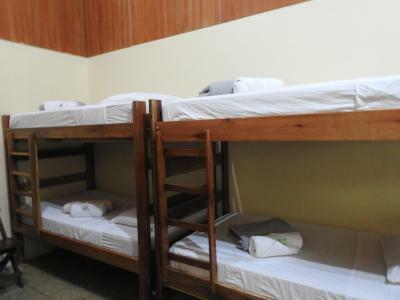 the staff is super nice and helped with all our needs, the owner even made calls around to check where sloths have been seen recently because we wanted to see them so badly, the hostel is very beautiful and super clean and with a great atmosphere :)! thank you! 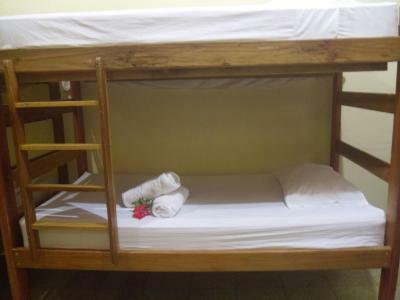 I loved how comfortable the hostel was and how welcoming Guatovo was. 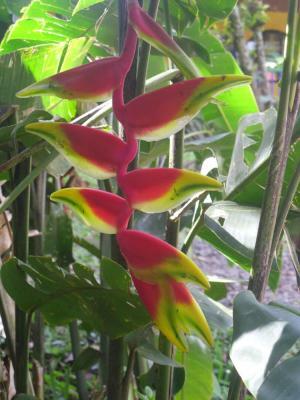 The gardens and hammocks were highlights as well as coffee with homemade bread in the mornings. It was beautiful and I absolutely loved staying there. Very clean. 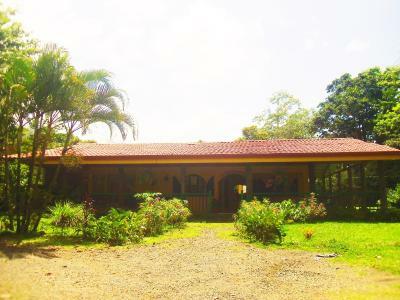 Beautiful property maintained by the owner, Gustavo. He's super friendly and helpful. 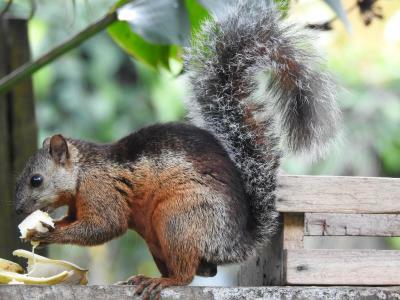 He has a great attitude on life. Kevin was an excellent host we felt at home from the moment we arrived. He was very helpful giving us directions to tenerio, places to eat in the town and organized a night hike for us on our second night. 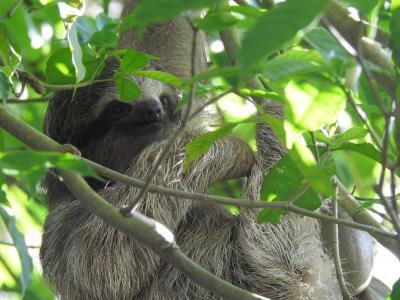 There's even a sloth that lives in the backyard which is awesome!! 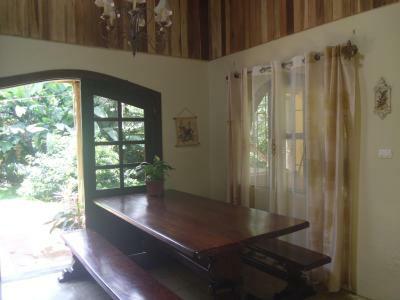 I would highly recommend this as a place to stay in bijagua, if you don't have s car I believe Kevin will arrange for transportation to the park for you. Oh and the marmalade that's served with breakfast is one of the best I've ever had. Thanks again! Hope to be back! It felt like a real "home". 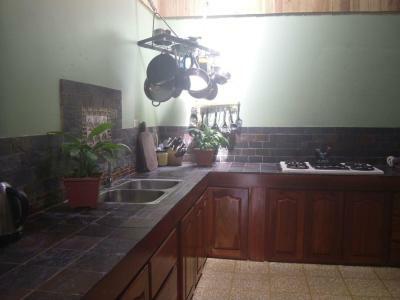 Beautifully furnished house, fully equipped kitchen, nice garden with hammocks to relax in. The owners were so friendly and helpful, took time to chat with all guests. I highly recommend this place! 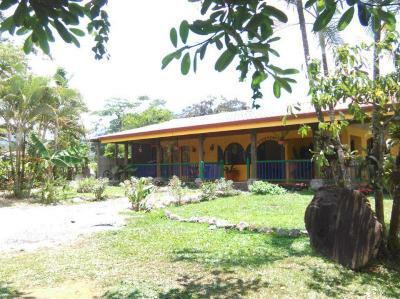 Offering a terrace and views of the garden, Rio Celeste Backpackers is located in Bijagua, 26 mi from Liberia. Coffee and tea everytime. Rooms are fitted with a shared bathroom. 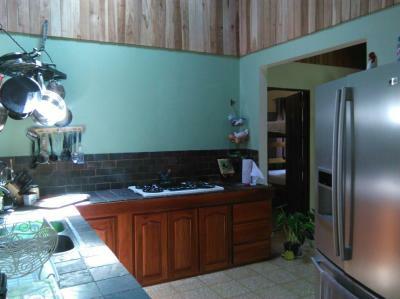 There is a shared kitchen at the property. 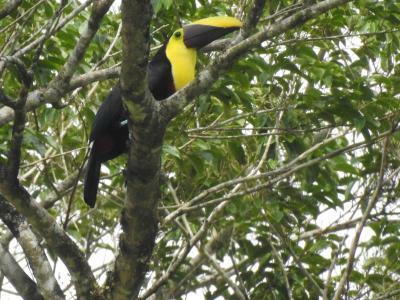 They offer tours on the location for an aditional fee. 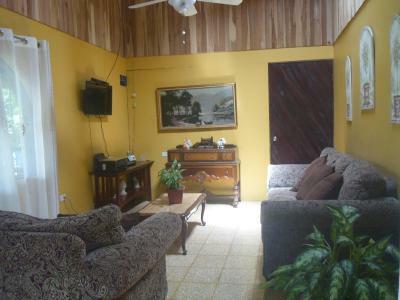 The nearest airport is Daniel Oduber Quirós International Airport, 34 mi from the property. 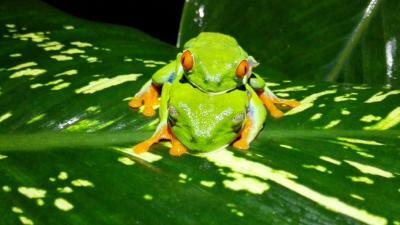 When would you like to stay at Rio Celeste Backpackers? 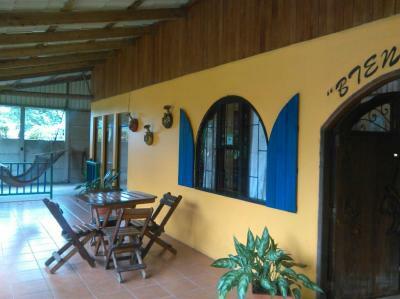 House Rules Rio Celeste Backpackers takes special requests – add in the next step! 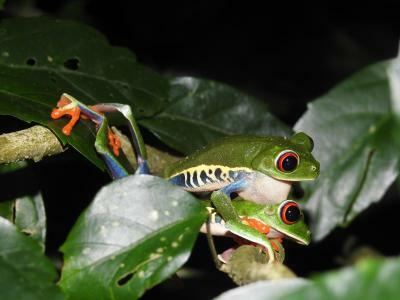 Please inform Rio Celeste Backpackers of your expected arrival time in advance. You can use the Special Requests box when booking, or contact the property directly using the contact details in your confirmation. Everything was great, it is a small village, which we love and we walked a few hundred meters to the access road up to the park and thumbed a ride up and back down afterwards. We also walked up and back the mountainside to a hanging bridges and restaurant in the same town. Long walk wonderful experience out thru the countryside. Our hosts were absolutely lovely, made us feel right at home, provided good local information and directions and even breakfast in the morning. 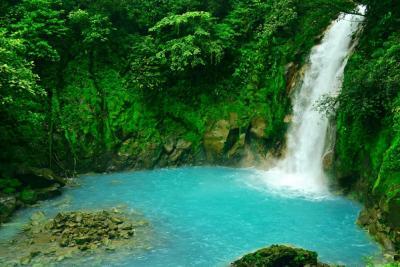 The location is great for visiting rio Celeste. The breakfast was pretty much only white bread, butter and jam. 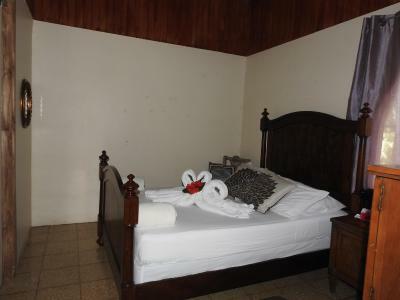 Unfortunately, we also had some gecko poop in our bed, which wasn't so fun either. 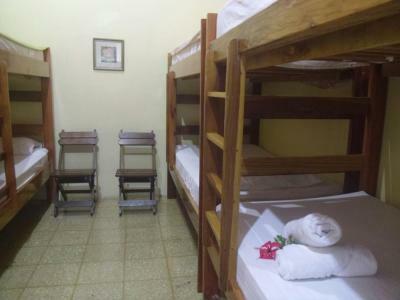 If the price suits you, it is as close of a perfect little hostel as you can find on your way to visit Rio Celeste! Walls are a bit thin in the private room. To get around, you really need a vehicle or a tour, and/or hitchhike. 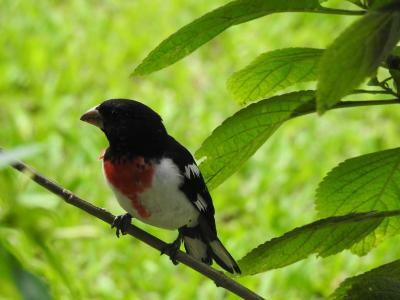 The location was close enough to the area attractions, with beautiful scenery and garden - with hummingbirds and frogs, and the neighbors are not close, so you feel very out in the country. Very friendly and kind people. 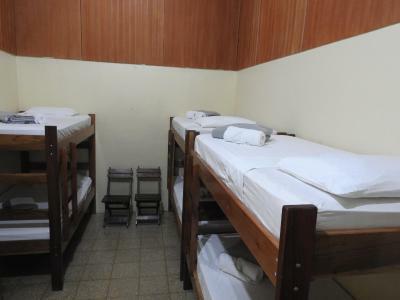 Clean and neat, large kitchen and refrigerator, comfortable dorm beds (the temperature is very nice so we didn't even need a fan). 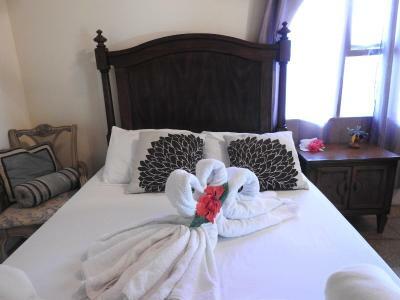 The private rooms looked very nice, and the couples we met seemed to really like them. Large patio and common areas. 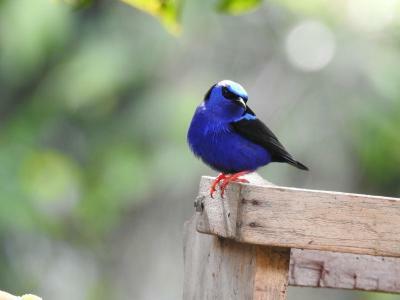 We were given good suggestions on what too see, where to eat, how to find good tours. Entertained by their little boy 😊 . 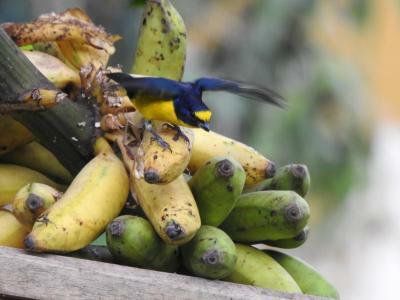 Quiet from people and city, but you always have bird song, frogs, and a natural howler monkey 5am alarm (they are not too close so it's not disturbing ;) ). Kind of a b&b but with a dorm in it. There was a pretty pervasive problem with bugs that squicked us out a bit. We saw ants crawling up the kitchen walls and there were some large insects pretty much everywhere inside. I wouldn't have been comfortable cooking there, but the bedroom itself was largely bug-free. The property was absolutely lovely. The patio in particular was beautiful with comfy hammocks. 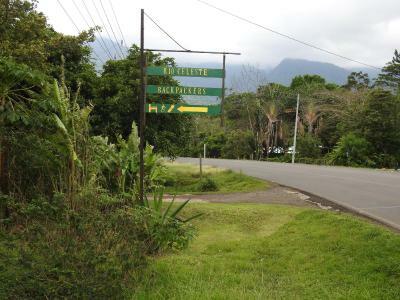 It is a short drive/shortish walk to Bijagua. The woman who checked us in was an absolute delight, although she spoke not a lick of English. 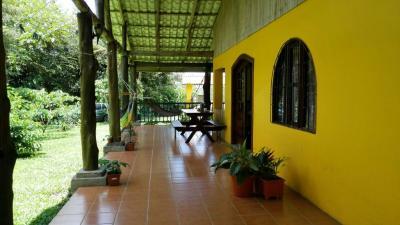 Perfect place to stay for one night after hiking Rio Celeste! The staff was super friendly, provided coffee and bread in the morning. Everything was really clean. We even napped in the hammocks. Loved it! Everything was great. It was hard to find at first. The family is absolut adorable! So heart warming and friendly! Would recommend it to couples! Good Location, absolutely clean and safe!